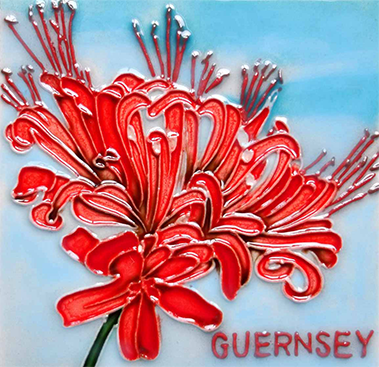 Brighten up your home with a hand painted art tile! 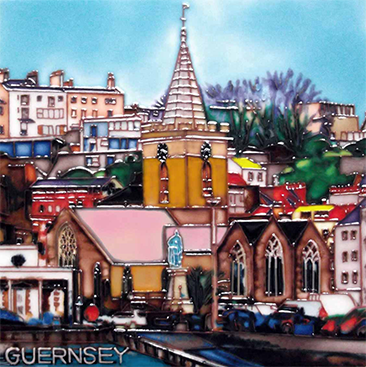 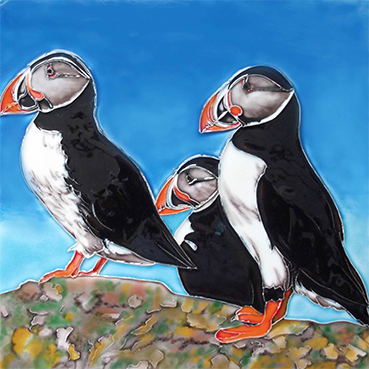 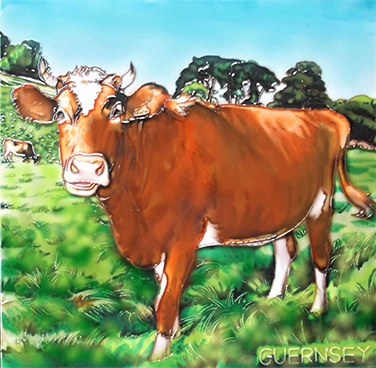 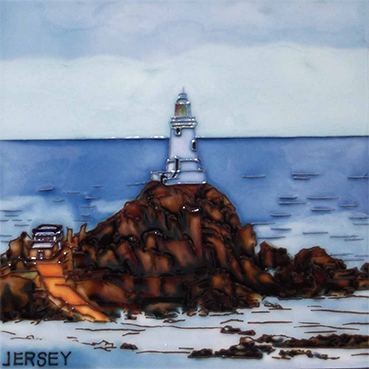 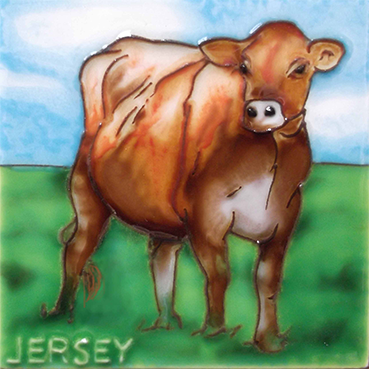 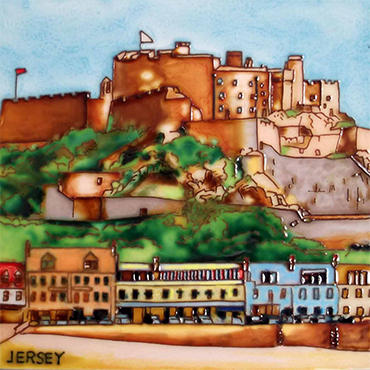 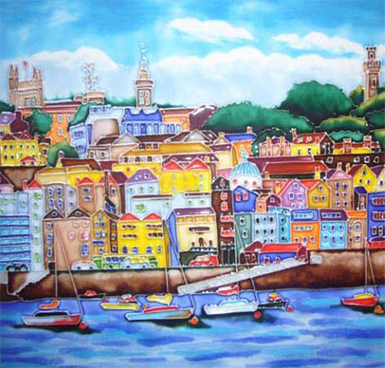 Designed in Guernsey and featuring scenes and places of interest from the Channel Islands, Island Tiles offer a vivid and eye-catching feature to any home or office and are a unique gift item for yourself, a friend or a loved one. 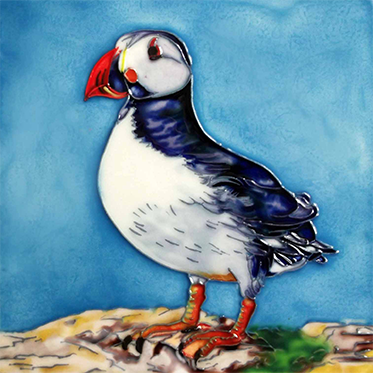 Hand crafted exclusively for Island Tiles, each art tile is carefully hand drawn using a fine layer of ceramic clay, a skilled process which produces a raised outline effect. 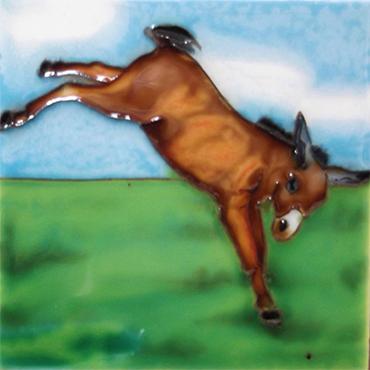 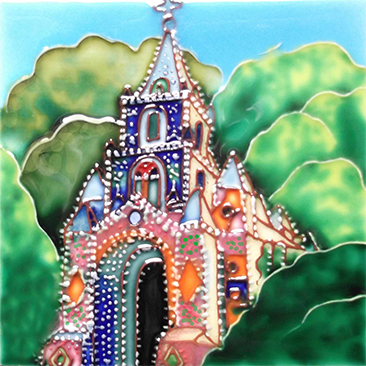 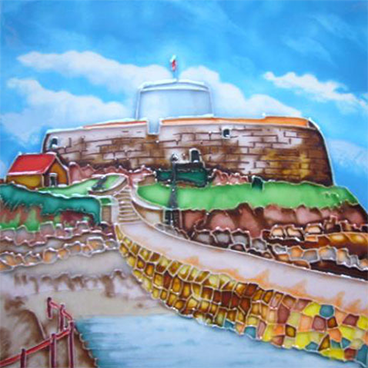 The tile is then hand painted, glazed and fired, ensuring each of the bright, vivid colours are 'fixed' and never fade. 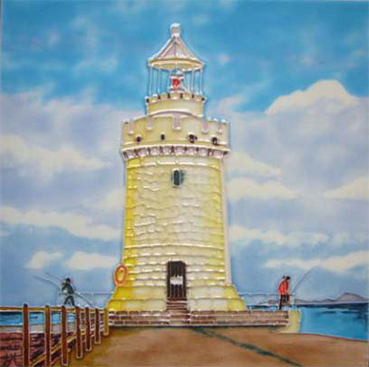 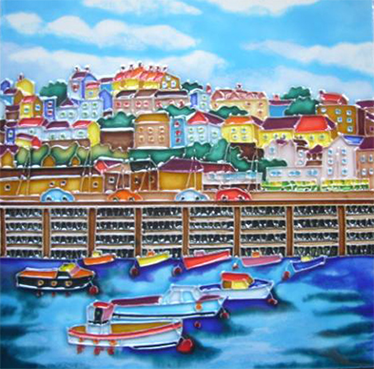 The end result is a stunning and colourful piece of art uniquely presented on a ceramic tile base. 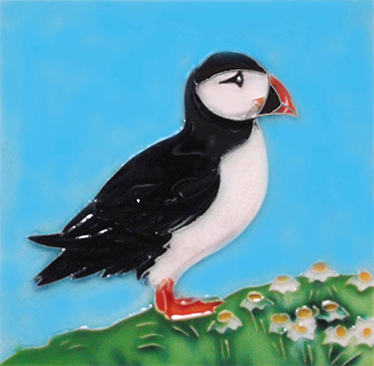 Island tiles can be displayed on a wall, on a flat surface using a plate stand or easel or, indeed, can be incorporated into a bathroom or kitchen tile wall as a permanent feature. 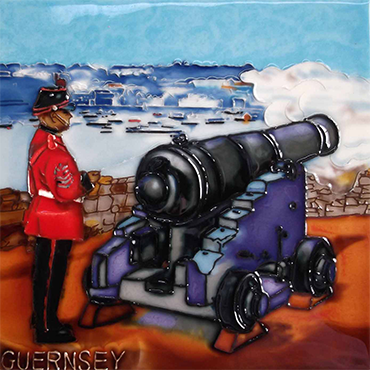 click here to order online from our Ebay shop.